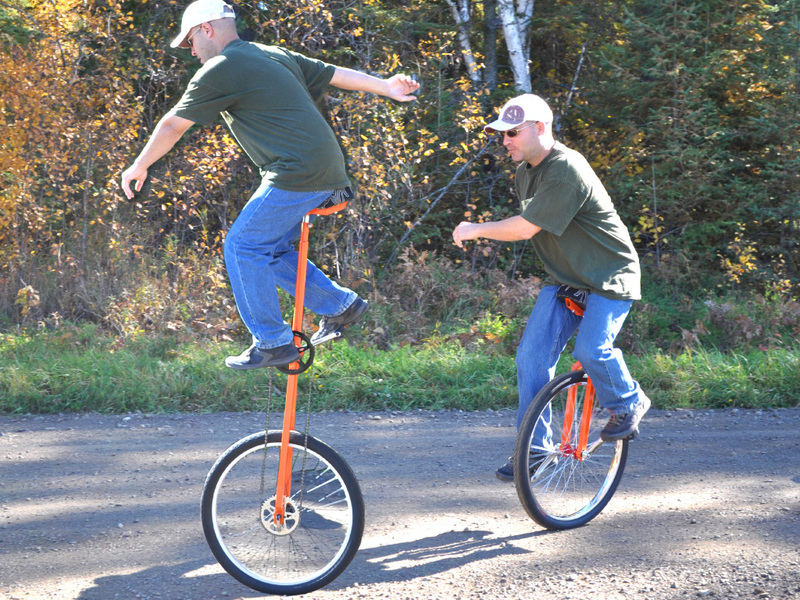 Test Your Skills On These DIY Unicycles. Challenge both your building skills as well as your balance skills with this robust direct drive unicycle. The frame can be easily made by hand using only mild steel tubing and standard bicycle components, even the axle. This fun to ride unicycle is a great beginner’s unicycle as it can take any abuse, and will last for a long time with little or no maintenance. Every single part on both of these unicycles can be hand made using only basic tools such as a drill and an angle grinder. There are no machined parts or hard to find components, just basic bike salvage and steel tubing. Push Your Limits on The Giraffe Unicycle. If you are up to the challenge, then climb up into the saddle of this stylish Giraffe Unicycle and push your skills to the limits. 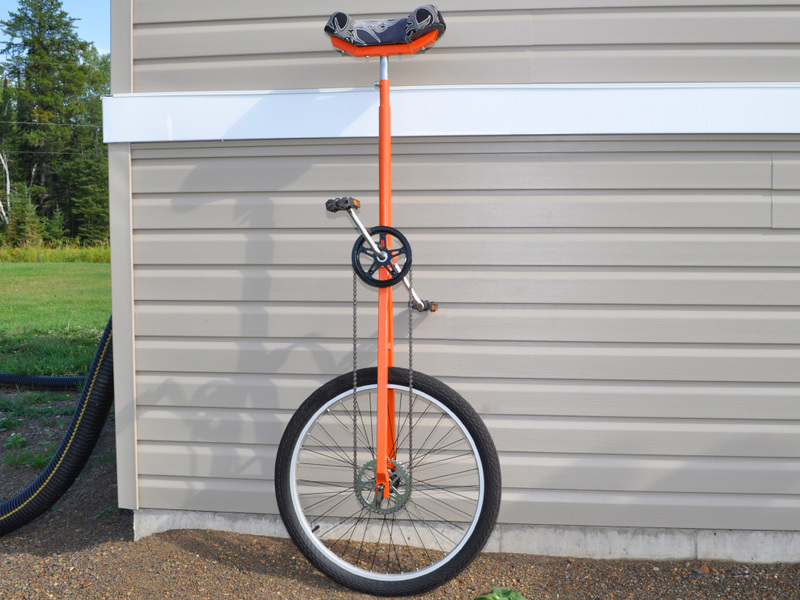 This quality DIY tall unicycle is surprisingly easy to build, needing only a few feet of steel tubing and some commonly available bicycle components. For only a few dollars, you can build sturdy Giraffe Unicycle that looks and rides as well as a factory made unicycle. The seat adjusts for riders of any height. This plan shows every step in great detail, even how to lace up your own rims to your hand made hubs. Building a unicycle is almost as fun as learning to ride one, and you can easily add your own mods to create a unique one wheeled vehicle of your own design. Learn to Ride on This Durable Shorty Unicycle. Riding a unicycle is a great workout for both your legs and your agility, and you can ride a short unicycle virtually anyplace, even off the road if you have the skills. This unicycle can take a beating as well! All of the transmission components you require can be taken from old bicycle frames. The frames are made of basic steel tubing, and you can use round or square tubing. Build your fun DIY unicycles form junk you have laying around. Get a Workout While You Improve Your Ballance. 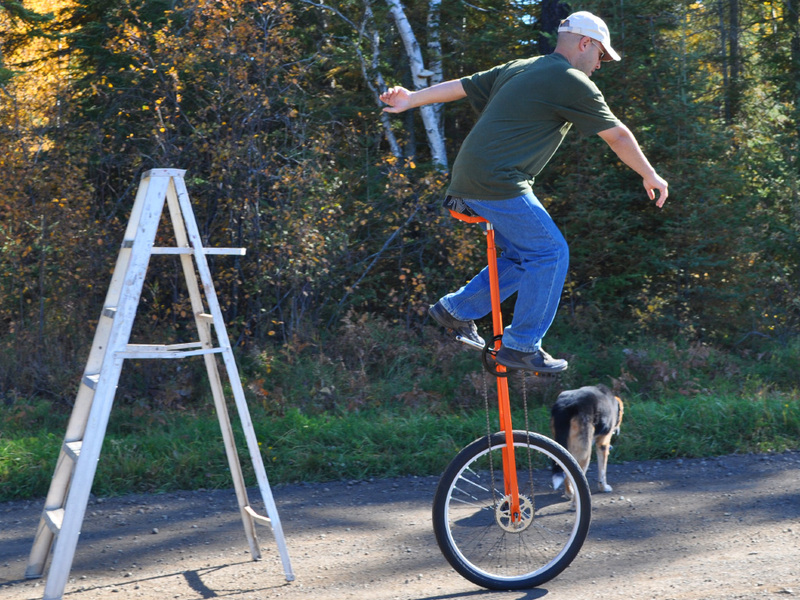 Balancing a unicycle requires a decent amount of leg effort, so you will improve your balance as well as your leg muscles. Forget everything you know about riding a bicycle, and tune your reaction time to the limits with the skills you will acquire as a unicycle pilot. This DIY unicycle is so easy to build you may want to build several at once and get into unicycle sports with your friends. One wheel basket ball is always fun! Unicycle seats can be expensive, but our DIY Unicycles Plan shows your how to build a very high quality and comfortable unicycle seat for a few dollars using basic materials. This seat is easily removed to fit both the short and tall unicycle by loosening a single bolt. Master The Short Unicycle Then Take to The Sky. Once you get your one wheel skills tuned on the short unicycle, it's hard to resist taking it to the next level on the tall unicycle. You can build this DIY Giraffe Unicycle as tall as you like, from a few feet to 10 feet tall or more. The Plans show a 6 foot version. If you like to be challenged, then the giraffe unicycle will give you what you need. Let go of that ladder and beat your fear of gravity. The DIY Giraffe unicycle frame is robust and easy to build. 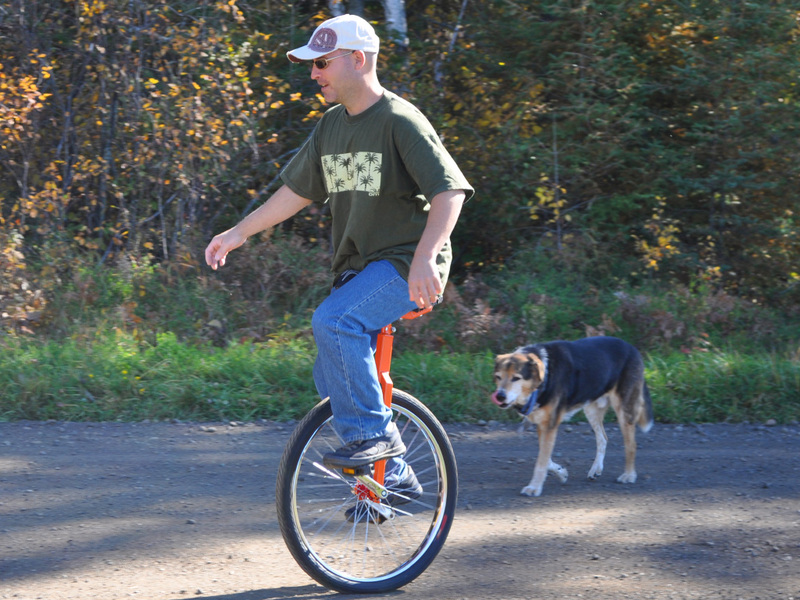 Both unicycles are designed to crash, so don't be afraid to break them as you learn your new skills. 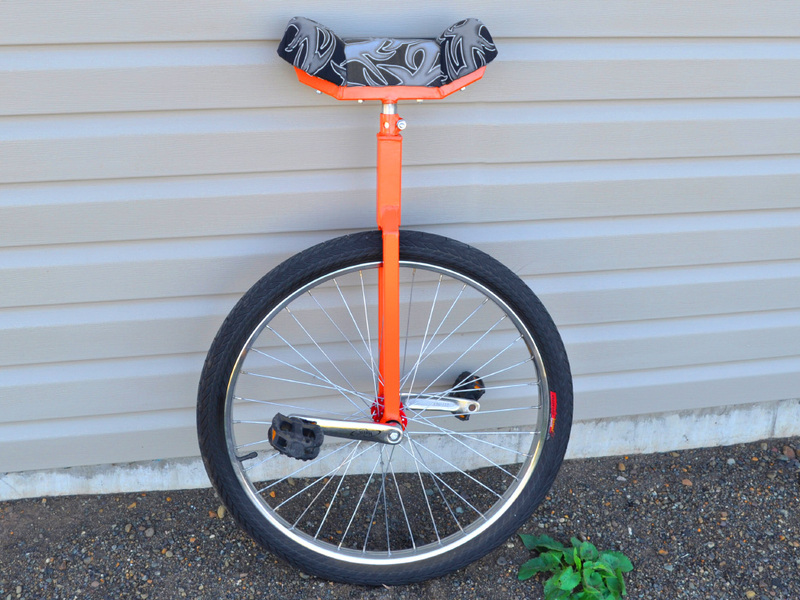 These DIY unicycles will take a beating and will offer a lifetime of fun. Riding High on Your DIY Giraffe Unicycle. Learning to pilot a Giraffe Unicycle to impress your friends is both fun and exhilarating. 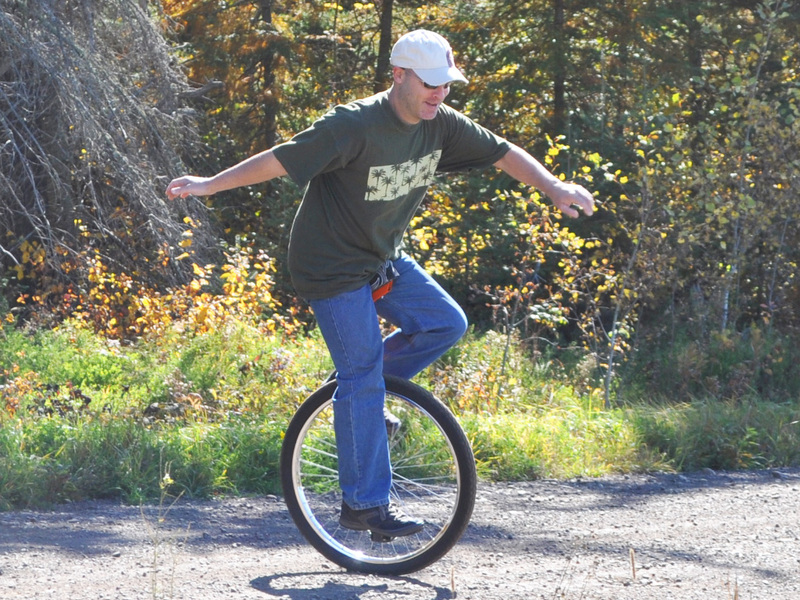 Surprisingly, riding a 5 or 6 foot tall unicycles is actually easier than riding a short direct drive unicycle once you have the basic skills. If you really want to challenge your abilities to the limit, you can even learn to mount the Giraffe Unicycle right from the ground, making it appear as if you are defying the laws of gravity. Create a robust unicycle axle hub using nothing but a hand held drill and angle grinder. This DIY Unicycle Plan shows you how to make a bullet proof axle hub that is as good as a commercially produiced unit, but it will cost you only a few dollars to make. Build Using Any Size Wheel From 12" to 26". Our plans are very flexible, and offer plenty of room for builders to add their own modifications. You can build either unicycle with whatever bicycle wheel size you want, from kids 12 inch wheels up to full size mountain bike wheels. 26 inch mountain bike rims are the most common choice, and will offer a smoother ride and easier learning curve than smaller wheels. Add massive balloon tires and make an off road unicycle. With a little time in your workshop and a pile of junk, you can make just about anything. Why spend $200 on something like a unicycle hub when toy can build your own for less than ten bucks? Yes, it's that easy. Two Wheels is One Wheel Too Many! A unicycle is the simplest possible pedal powered vehicle, and probably the most challenging to ride, which is why it is so much fun. 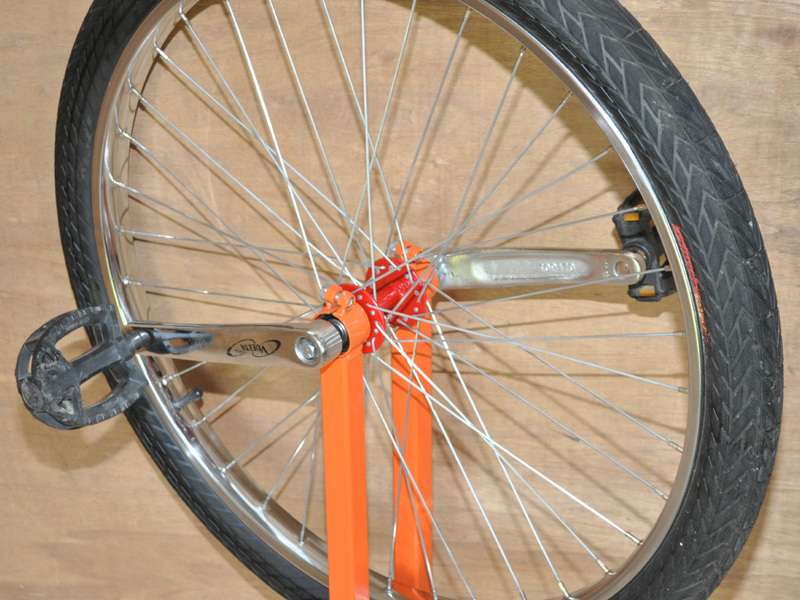 On a few days you will be able to ride smoothly on your DIY unicycle, making it look easy. Have fun watching your buddies give it a try for the first time. With our easy to follow DIY unicycle plans, you can build your own one wheeled vehicle in less time than it will take you to master it. 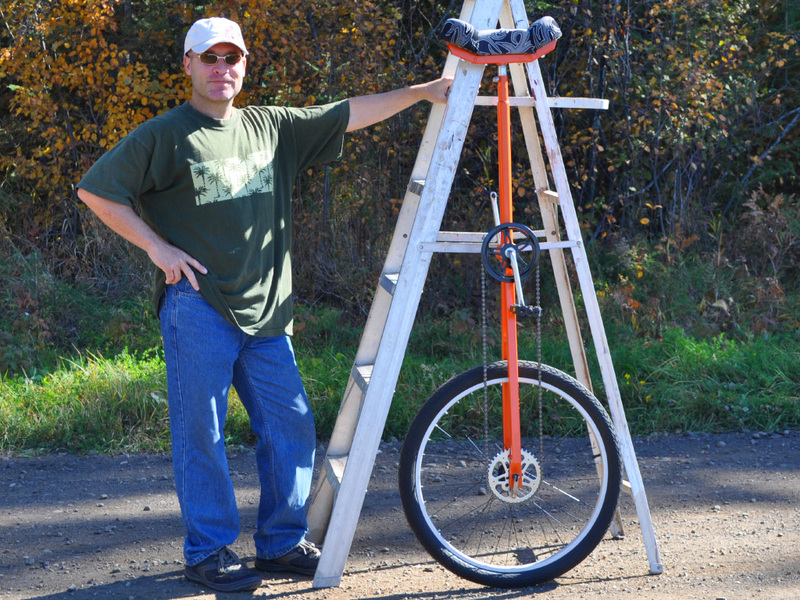 If you have been thinking that two wheels may be one wheel too many, then perhaps it's time to consider building your own fun to ride DIY unicycle. Challenge your skills and impress your friends on your new one wheeled wonders!